Doterra Balance is a combination of 5 essential oils in a base of coconut oil. I use it almost everyday as it's soothing, grounding and honestly just smells amazing. Thought to help detoxify the liver and lymphatic system, which is closely related to the emotions of anger and depression. 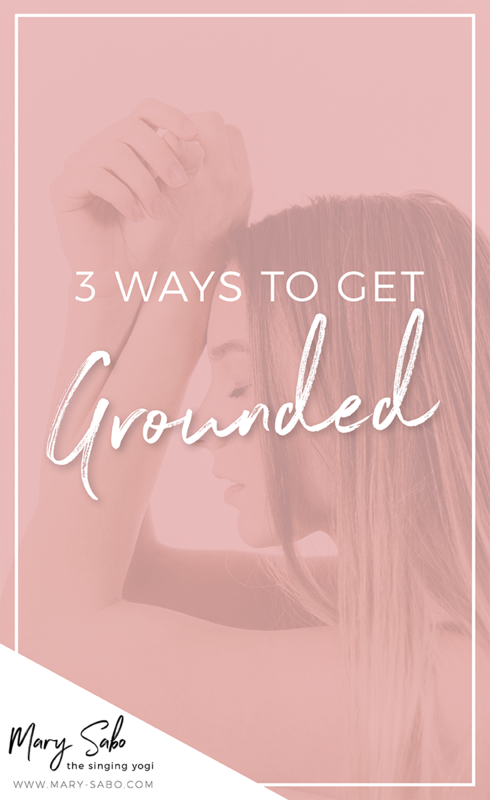 Promotes a deep mind-body connection and allows this oil to be beneficial while promoting well-being and self-control. Ho Wood is a powerful sedative, offering grounding and calming effects on the nervous system. Spruce is a herbaceous scent and helps expand our bronchials which is key for allergy and asthma sufferers like myself. It helps to release tension, deepen your breathing and release emotional blocks in the chest, jaw and throat. This oil has been used for centuries in physical and emotional healing. It contains sesquiterpenes, which oxygenate the pineal and pituitary gland, passing the blood brain barrier to promote brain health. It promotes cellular regeneration (*bingo ladies: to prevent the appearance of aging). It is mood balancing and often thought to be "king of the oils." A calming and sedative oil, Blue Chamomile has also shown properties of being pain-relieving and anti-inflammatory, which helps when dealing with stress, joint support and muscle health. 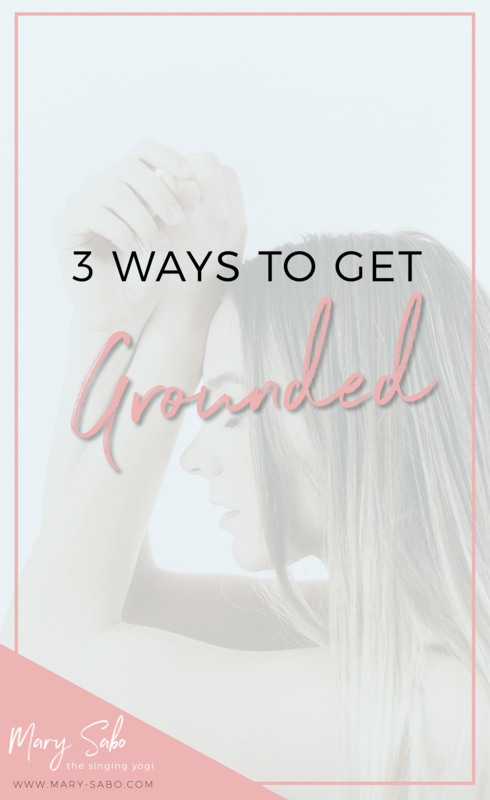 Three ways you can start using Doterra Balance in your daily life. 1. Rub on the bottoms of your feet (or your childs) before going to bed at night. Why the bottom of the feet? Because they have the biggest pores and the oil is quickly entered into the blood stream (20-30 seconds). and for oils that are a bit more intense like Oregano, our skin is tougher on the bottoms of our feet and won't get irritated like on other areas where our skin is thinner. (*If you ever feel an oil is too intense - dilute it prior to putting it on or if already applied rub more coconut oil/carrier oil onto the area - not water as it won't mix with the oil). Diffuse it in your car when you know you are going on a long ride, in your hotel room when you are far away from home or in your office to promote perseverance and groundedness. Bonus for the kiddo's - make balance play-doh! Grab a recipe for homemade play-doh (pinterest has hoards of them) and add 5 drops of balance after it cools! Kids will love it and so will you! 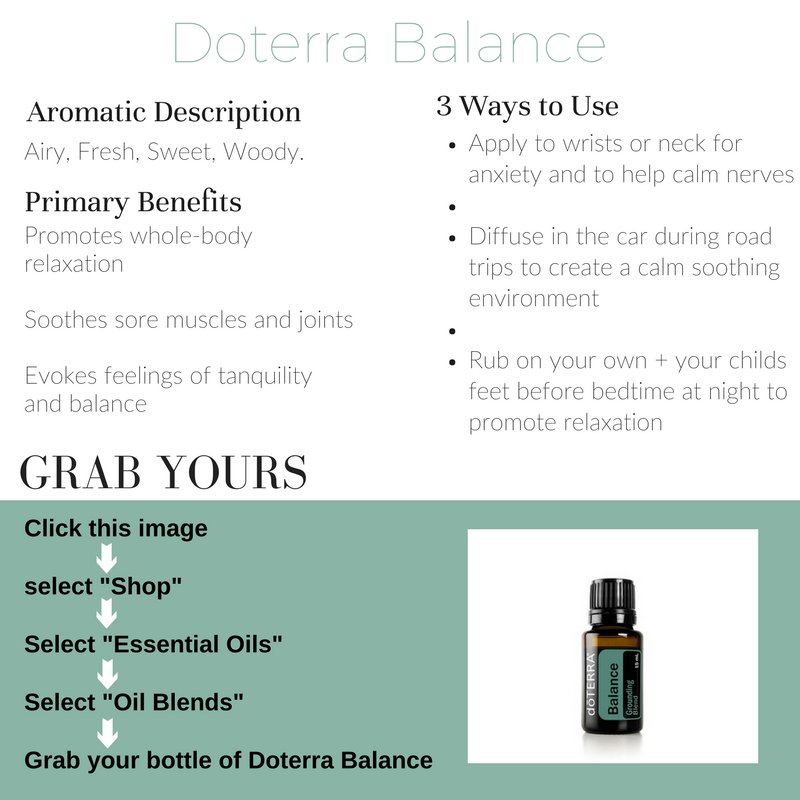 Grab your own bottle of Doterra Balance by following the steps below!